Daimler - I Say Ding Dong Shop - Buy Stickers, Decals & Unique Automobilia. 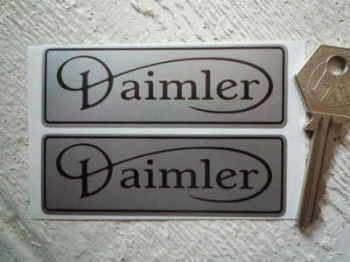 Daimler Black & Silver Oblong Stickers. 3.5" Pair. 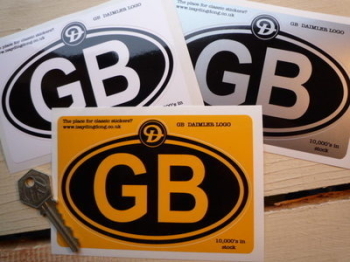 Daimler British Leyland Sticker. 6". 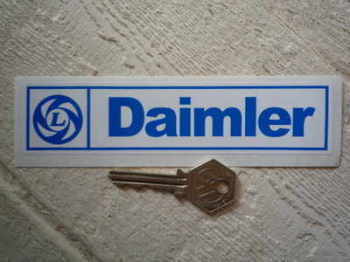 Daimler Logo Circular Laser Cut Self Adhesive Car Badge. 25mm. Daimler Logo Nationality Country ID Plate Sticker. 5". 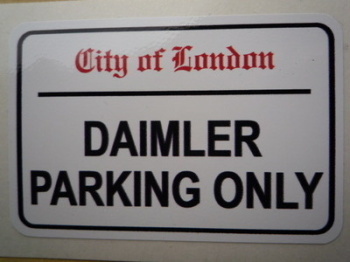 Daimler Parking Only. London Street Sign Style Sticker. 3", 6" or 12". 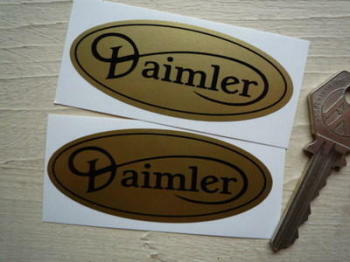 Daimler Red & Gold Plain Style Wheel Centre Stickers. 50mm Pair. Daimler Red & Gold Shaded Style Wheel Centre Stickers. 50mm Pair. Marston Excelsior of Leeds Jaguar etc Radiator sticker. 3". Overdrive or Direct Stickers. MG, Healey and others. 25mm Pair.